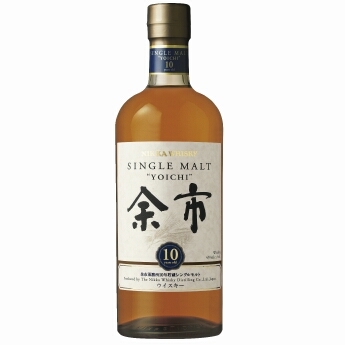 This single malt whisky from the Yoichi distillery, stored and matured for 10 years or more, is characterized by a festive nose reminiscent of fruit and a smooth, velvety palate. This bold and distinctive single malt whisky was distilled and matured at the Yoichi distillery in Hokkaido, birthplace of Nikka Whisky. The Yoichi distillery continues to adhere to techniques such as the use of coal-fired pot stills, and otherwise remains loyal to the whisky-making traditions dating back to its foundation.